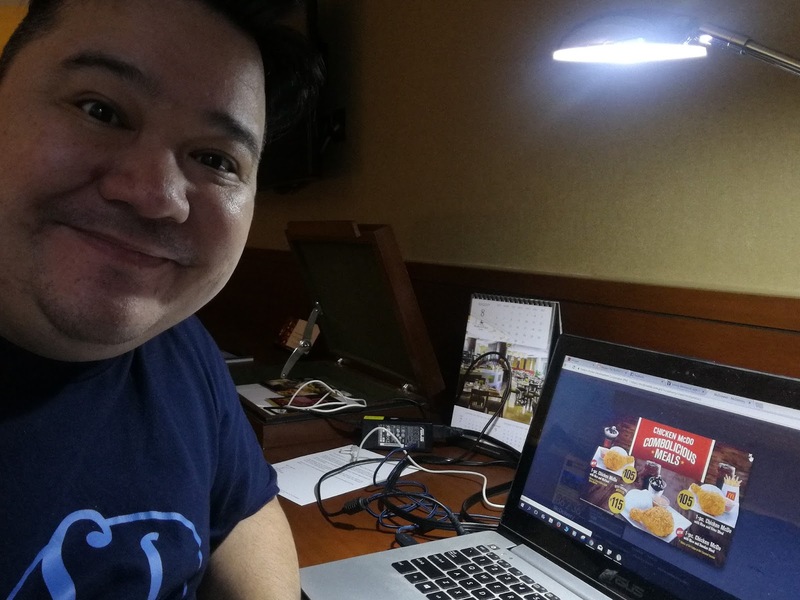 THE PICKIEST EATER IN THE WORLD: LOVE WEEKENDZZZ EVEN MORE WITH MCDONALD'S DELIVERY! LOVE WEEKENDZZZ EVEN MORE WITH MCDONALD'S DELIVERY! Although you see me going out to eat a lot, one thing you should know about me is that I'm really a homebody. I don't need to go out to have fun and enjoy my time with my family and friends. I'm perfectly fine staying home, and inviting them over to go on a Netflix Marathon or watch a big event on TV and the like. And usually, instead of going through the hassle of preparing the food, Rina always find it much more convenient to have our food delivered. The funny thing is, whenever Rina asks where I want food delivered from, the default answer is usually McDelivery! 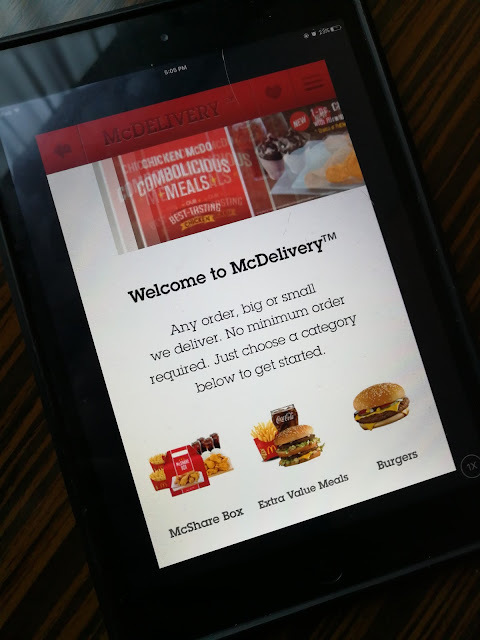 McDonald's found ways to make delivery ordering easier. First off, you can opt to order via their app, which you can download for free at the Google Play or the App Store. After you create an account, you place your order, and send it off, together with your delivery details. Once your transaction is confirmed, you'll receive an email with a run down of your order. Parents, you can also check the available Happy Meal toys here! In case the app is buggy or you're in a location with weak 4G signal, you can try ordering via the McDelivery website! Of course, when all else fails, you can go old school and simply dial 8-MCDO (8-6236)! So the big day came, and I decided to order a selection of their best sellers for everyone, including Big Macs, Quarter Pounders, McChicken, , Chicken McNuggets, and Apple Pies. Also, I for events like this, I recommend getting McShare boxes of Chicken McDo, because it comes with BFF Fries and Drinks already! Whether you're a burger guy or a Chicken Lover, McDonald's has got something for you! Before we got started with our Netflix Marathon, my friends and I played a quick game of Uno Stacko! It was my first time to play it.. And I didn't realize how stressful it was!! My friend Karen decided to pull out a brick like a band-aid, and much to her dismay, the tower toppled over. That's her daughter (My inaanak)in pink, while my baby Rain watches in awe! After the game, we all settled down and began Season 1 of The Defenders! I made sure to save some fries for the show hehe..
My next viewing Party will be this Monday, for the Season Finale of Game of Thrones! And since it's in the morning, I'll be loading up on some Sausage McMuffins for sure! Enjoy your favorites from McDonald's at the comfort of your own home, and order via the McDonald's App, McDelivery, or 8-MCDO!